Route 66 is widely recognized around the world as an icon of 20th-century America, emphasizing personal mobility and pursuit of the American Dream. However, the experience of the road was not the same for everyone. Route 66 was a mirror-reflection of the social values of the time, and its history can tell many of the deeper and sometimes painful stories about American life in the first half of the 20th century. This includes stories of racial discrimination for African Americans and others. The purpose of the Route 66 Green Book Project is to identify properties in Route 66 communities that were listed in the Green Book (as well as other black traveler guides), and to determine if they are still standing. With this information, it is possible to promote the preservation and commemoration of these buildings, and gain insights and understanding of African American experiences of Route 66. 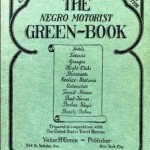 The project will continue in partnership with the Route 66 Road Ahead Partnership Green Book Task Force and African American organizations with the goal of education, preservation and promotion of Green Book and other stories of Route 66.